Music, the universal language! When we talk about music, how can we forget about music festivals, which unites people around the globe at one place. There are thousands of music festivals happening every year around the globe, but few of them are very famous. The music festivals are the unarguably the modern musical institutions. 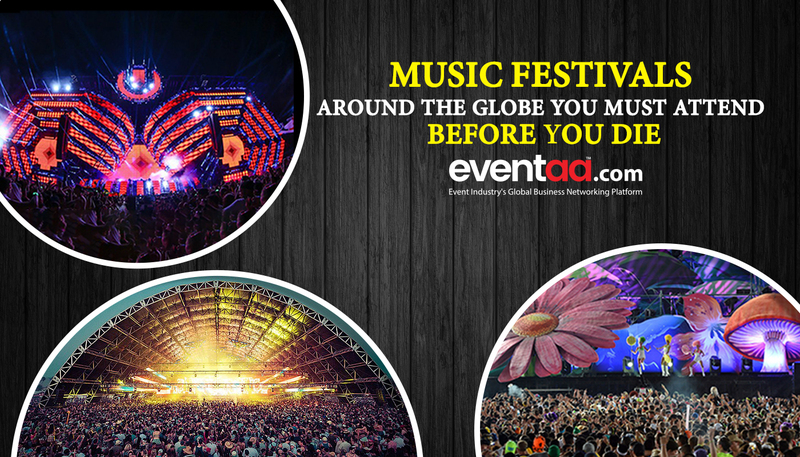 Music festivals are the places where like-minded music fans from all over the world get together and celebrate music. Music festivals being unique in their own way and accommodating different genres within them have grown as an entity with an experiential value. These festivals are not just about the music, they are now the home for culture, art, fashion, creativity and most importantly an experience for its visitors. 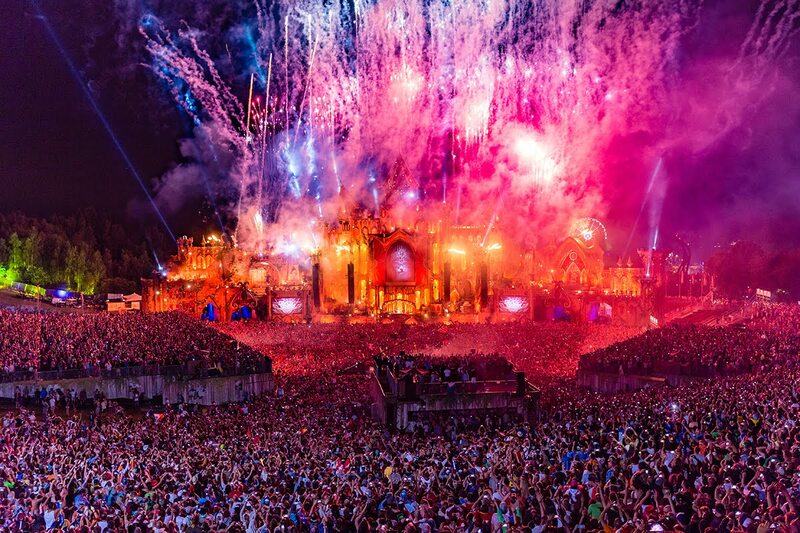 Tomorrowland is one of the biggest and most recognized music festivals in the world for electronic dance music, which has been sweeping the globe in the last decade getting bigger and bigger. Hundreds of electronic music DJ’s take the various artfully built stages at Tomorrowland like Alesso, David Guetta, Avicii, Steve Aoki, Martin Garrix, Dillon Francis, Tiesto and more. Coachella is one of the biggest and best music festivals in the United State and in the world. People gather deep in the Coachella Valley on the polo grounds in the desert and dress to impress with Coachella fashion, which includes the notable flower crowns. Coachella always sells out its 99,000 capacity per weekend, 198,000 ticket total. Coachella in simple terms has become the biggest fashion and music exhibition all over the world. 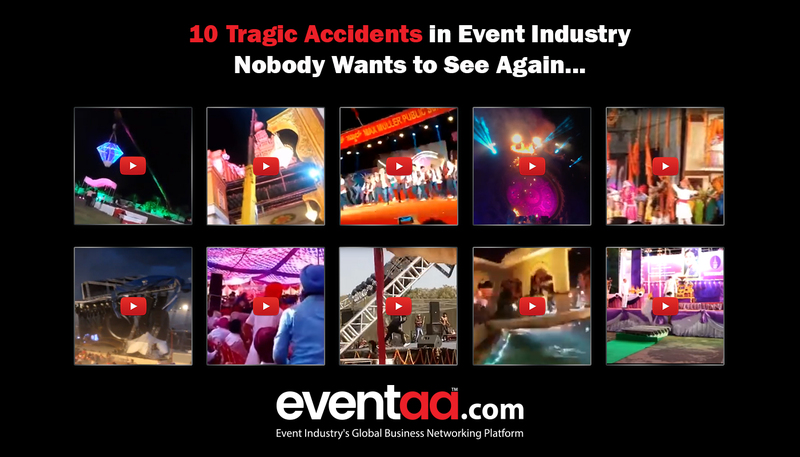 Bringing in artists like Guns N’ Roses, LCD Soundsystem and Calvin Harris, Ice Cube, Zedd, A$AP Rocky, Sia, Major Lazer and more has become the to-visit destination for celebrities, artists and music lovers over the years. This classic rave, held in Las Vegas, is one of the biggest electronic dance music festivals in the world. The largest outside Europe, it embraces trap, bounce, trance, techno, bass, house, hard-style, and more. 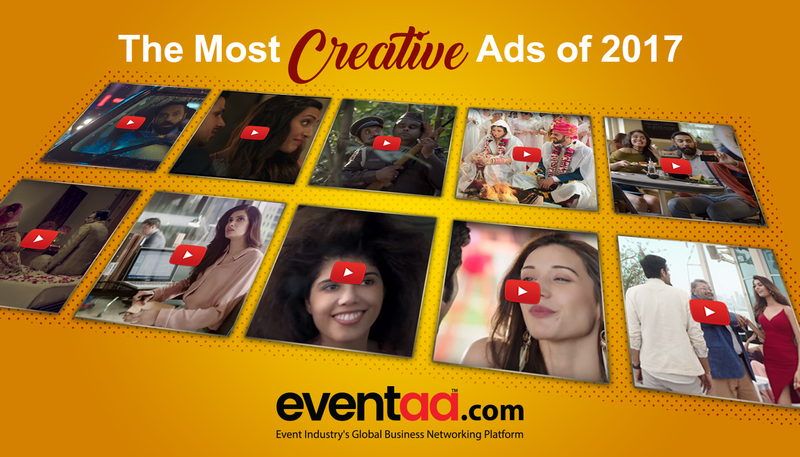 Also held in Puerto Rico, Mexico and New York City, the festival rose from the underground in 2014 with the Sundance Film Festival documentary EDC 2013: Under The Electric Sky, which was based on the event. Headliners have included DJs such as Armin van Buuren, Dimitri Vegas & Like Mike, and Yellow Claw. Ultra Music is the biggest festival of the US because it also streams live coverage of the festival via YouTube thereby aiding to all those people who perhaps missed being there in person. 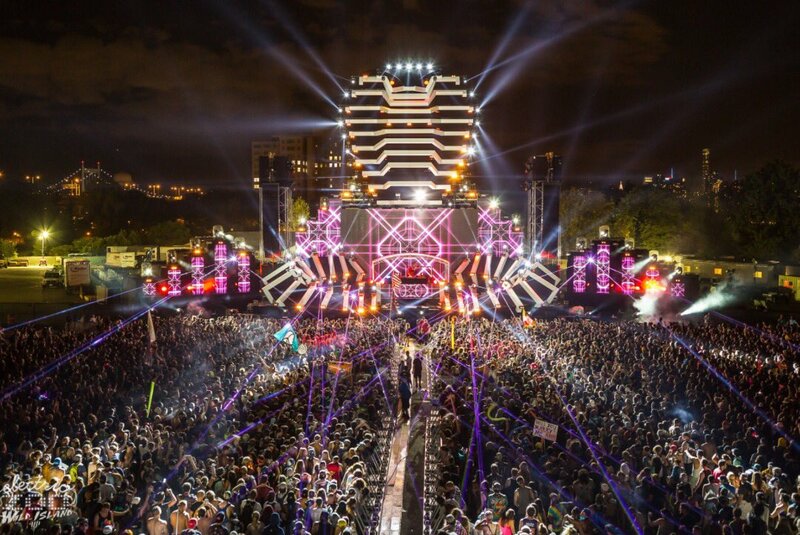 Starting in Miami and hosting the likes of David Guetta, Deadmau5 and Tiesto, Ultra is hands down the Mecca of EDM festivals. Fuji Rock is the biggest outdoor music event in Japan and one of the largest and most recognized music festivals in Asia and the world. It began in 1997 where it took place at the base of Mount Fuji, but has been held at the Naeba Ski Resort since 1999. Fuji Rock showcases rock and electronic music and has hosted artists like the Red Hot Chili Peppers, James Blake, SigurRos, Beck, Wilco, Ben Harper and the Innocent Criminals and more. 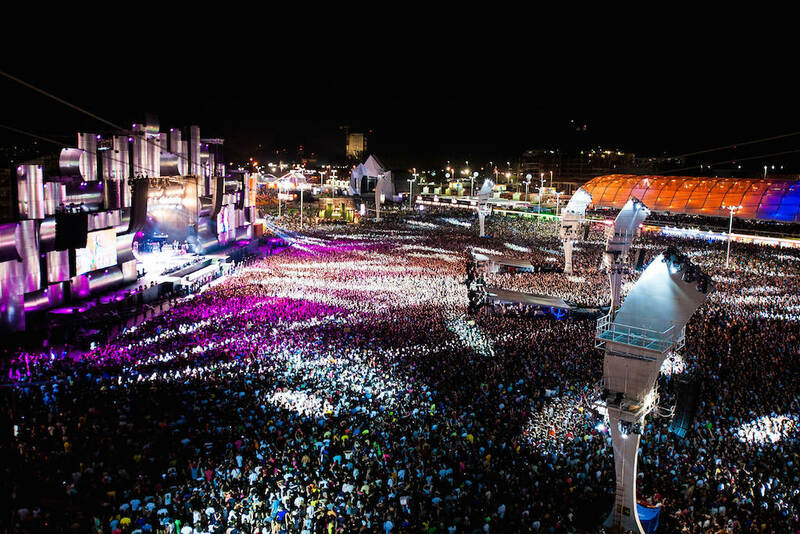 South America’s largest music festival is arguably the world’s shiniest. With a star-studded line-up every year, the festival is renowned for packing in the huge headliners. In 2015, Katy Perry, Rhianna, Queen, Metallica, Rod Stewart and Elton John played, just to name a few. And if you head to Brazil for the 2017 festival, you’ll see Lady Gaga, Justin Timberlake, Alicia Keys, Bon Jovi and Guns n’ Roses, plus many others. The festival is also held in Madrid and Lisbon in the years the Brazil event is taking a break. The name of the carnival pretty much lives up to its reputation, which takes place at Randalls Island Park in New York. Each year, EDM legends such as Pretty Lights, David Guetta and Laidback Luke along with upcoming new talents bring New Yorkers out in open, wild and how! There are many trance festivals in the world and yet, there is only one Ozora festival. A small Hungarian village, Ozora is home to one of the biggest trance and psychedelic music festival in the world; from constant psy, progressive to dark trance music, the festival conducts week-long artistic workshops, activities and exhibitions, thereby making it one of the biggest platforms of cultural dissemination. 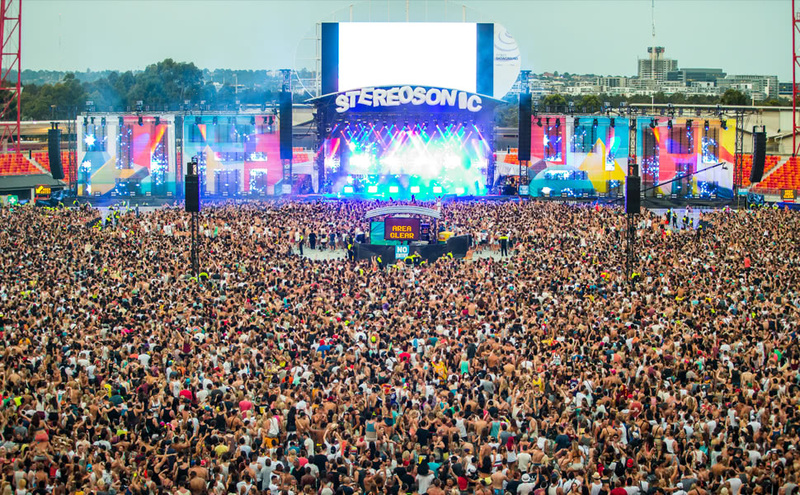 If you plan to go down under, then Stereosonic is the place to be. Australia is known for hosting many a festival - outlandish and larger-than-life; and Stereosonic is one of them! Covering cities like Sydney, Melbourne, Perth and Brisbane, it is a favourite festival ground for many DJs. Sunburn is India's answer to international Dance music festivals. The brainchild of our very own Nikhil Chinappa, the festival occurs around the month of December; making for a perfect Holiday party hotspot for Indians and foreigners, alike. In its 10th instalment, this time around, Sunburn has shifted base, from Goa, to Pune. The festival continues to draw international headlining musicians like Armin Van Buuren, Afrojack, Diplo, Like Mike and Martin Garrix to our home grounds. So, which of these have you attended so far? Or planning to attend in near future? Let us know in comments below.